Make sure your employees don’t do these when they take office computers home! Viruses aren’t the only threat to a computer’s health. Bad habits can also deteriorate your devices in the workplace. Here's a haiku about it! Smoking. Dust and tar can build up inside your computers or devices. Eventually, that buildup can cause the CPU to overheat and fail. Smoking may also void the computer warranty, so you won’t be able to get your money back, either. Eating and drinking at the computer. You knew this one was coming. Crumbs, oils, sticky spills, and germs can build up on the device, potentially gumming up the keys. Eating and drinking in front of a distraction also increases the risk of overeating and dramatically increases exposure to germs. Experimenting with apps and programs. Employees may load the unit with unnecessary local files, download “shadow IT” solutions that are not sanctioned by the company, or engage in unauthorized internet behaviors during daily use. This not only damages computer efficiency, it may represent a security risk. Learn more about how to prevent employee habits from damaging your business technology by reading this article from our blog! Need help with employee IT training? Contact Pendello Solutions online, or call us at (913) 677-6744 in the Kansas City area to schedule a free technology discovery dialogue to identify any potential problems or inefficiencies with your business technologies. Now you don’t have to pretend that your pen is a microphone during a spontaneous office karaoke breakout! 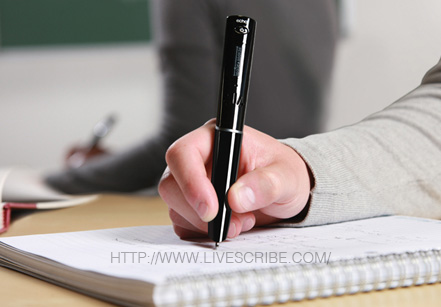 The Livescribe Echo Smartpen records audio and can store up to 800 hours of soundbytes. Save your audio notes to your computer, tablet, or phone through a micro-USB connector. The Smartpen retails for $169.95, but you can get one free when you refer a client to Pendello Solutions this month! Chrome is no longer supporting Windows XP & Vista. So what? 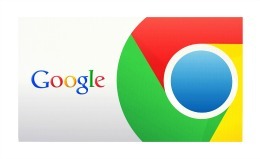 Starting this month, Windows XP users will no longer be able to receive updates for Google Chrome. Microsoft concluded its support for Windows XP in 2014, a solid 12 years after the program’s release. As such, Google announced in November that it will cease the provision of security updates and patches for its web browser for any systems operating on Windows XP and Windows Vista, as well as users running Chrome on Mac OS X 10.6, 10.7, and 10.8, since these systems are no longer actively supported by Microsoft and Apple. You had a good run, Windows XP, and I’ll never forget you. 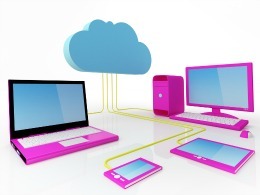 What are the Basics of Cloud-­Based Computing? The “cloud” is a term that’s becoming quite ubiquitous, and is often thrown around with little regard for what it might actually mean, sort of like the words “gourmet” or “love.” While it can mean multiple things to different people, in general, the cloud is a metaphor for data networks located in remote places that are accessed using the Internet. Instead of storing data and programs locally on your computer’s hard drive, cloud computing allows you to store that information in the cloud -- another server which you can access as needed.